We're still building that stash of birthday cards at the Seize the Birthday challenge. And as usual its "Anything Goes". 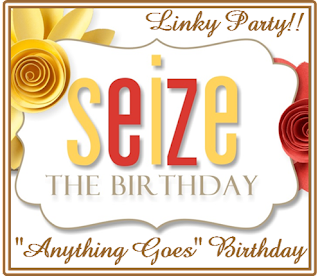 I also invite you to hop along the rest of the Seize the Birthday Design Team to what they have in store for you as well. I am sure they will blow you away! Such a sweet card and adorable image. Love your coloring of the image. I agree with joAnn...love that image!! 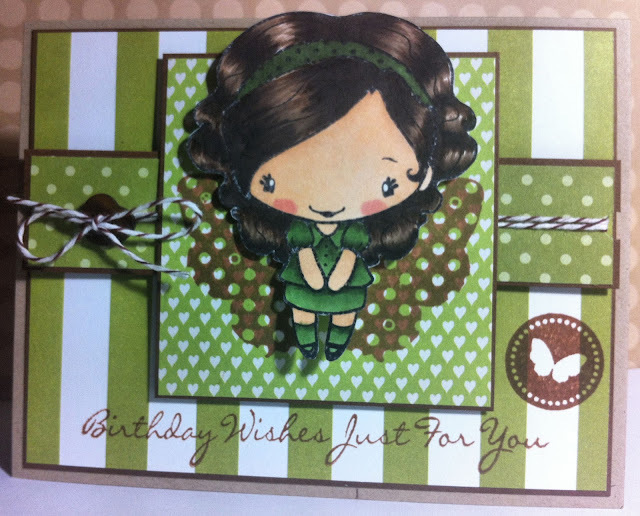 Love green and brown combo too! Enjoy ypur weekend...and keep those babies safe inside!!! Super cute!!! I love how you stamped the wings behind her!!! Gorgeous coloring too!! Another real sweetie Jenny, thanks so much for sharing your creativity with us at Allsorts this week. Such an adorable card, Jenny! Super cute image with amazing colouring. Great colors and beautifully colored! Thanks for playing with us at Loves Rubberstamps! OMGosh this is so super cute, love the fabulous colors and design! Thanks for playing with us over at Loves Rubberstamps!! !